Bias T (Bias Tee) is a special device (3 port device) that is mainly used when we trying to applying some DC power (we call this DC a Bias) to protect the RF component from being damaged by the DC bias. General circuit of a bias T would look as follows. 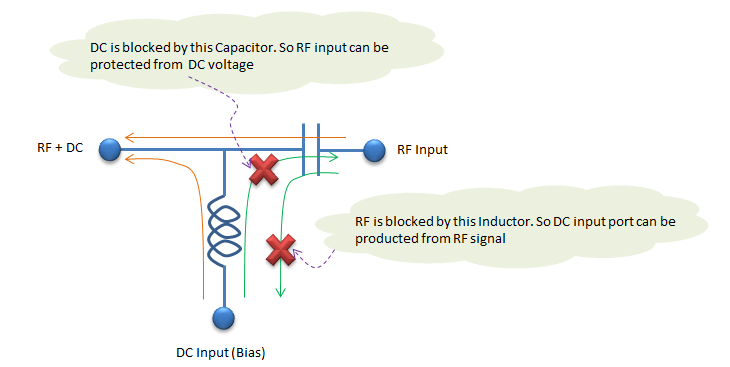 You see the circuit is 'T' shaped and that's why it is called Bias T.
A common usage of Bias T is to connect it with RF source and DC power as illustrated below. 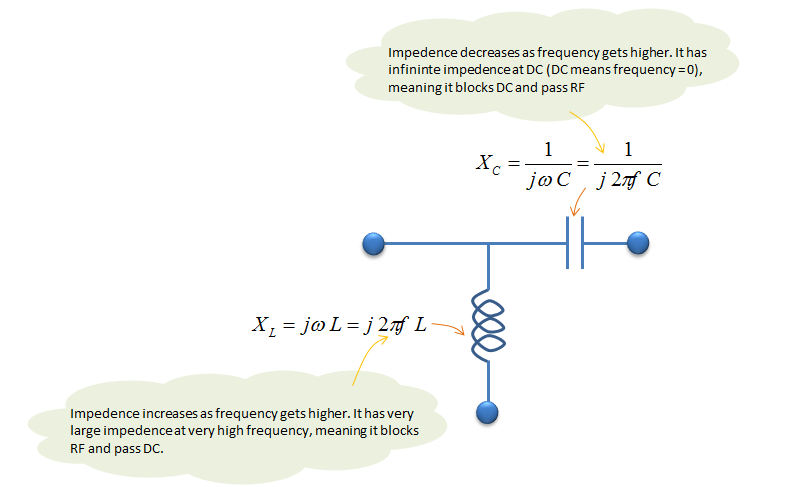 In this configuration, RF input can be protected by DC source by the mechanism illustrated below. I hope this illustration itself would explain clearly enough.